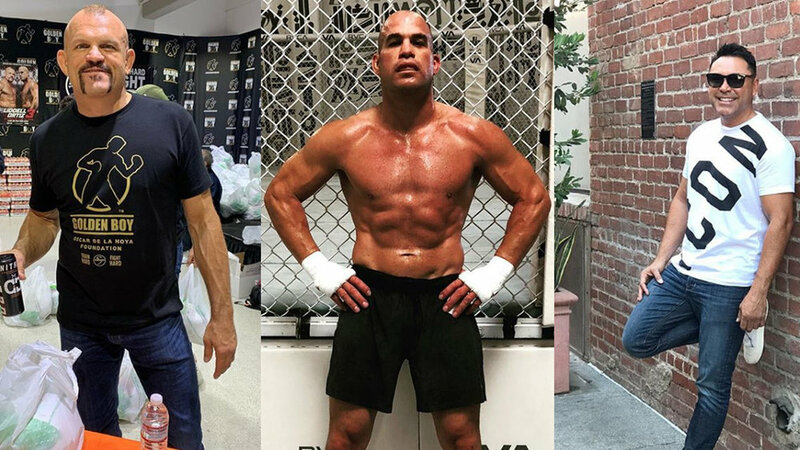 Oscar De La Hoya Promises Monstrous Paydays To Chuck Liddell And Tito Ortiz! Liddell Vs Ortiz 3 is slated for November 24th, at The Forum in Inglewood, California. The fight will be held under Golden Boy banner. It will be broadcasted on pay-per-view (PPV). “The Iceman” is 48 years old. He had the last fight of his career at UFC 115, on June 12, 2010, when Rich Franklin defeated him via TKO. Tito Ortiz last fought Chael Sonnen at Bellator 170 on January 21, 2017. He won the match via rear-naked choke. “The Huntington Beach Bad Boy” is also a veteran with 43 years of age. For the payouts, there is a slight enigma. It depends on pay-per-view (PPV) sell rate. The price for Liddell Vs Ortiz 3 is 49.99 dollars. It does not thrill the fans. The undercard is thin. But Oscar De La Hoya claims the price was perfect. “We’ve been staging fights at a price point lately at around $80, $75, $69,” De La Hoya said. “Let’s give the fans a break here. Let’s give the fans a break and not charge those crazy numbers. So we came up with that price point, which I think is perfect. You’re gonna be able to watch some great, great fights with the headliner being a terrific trilogy, which I strongly feel that this fight can obviously go either way. Oscar De La Hoya is not a guy who judges by age. He doesn’t think Chuck Liddell would have a problem cause he is five years older than Tito. “The Iceman” is medically cleared to fight by California State Athletic Commission (CSAC). The former boxing champion also made a very interesting comparison. Click here to view the full article on Middle Easy.